This was a great thing to wake up to. Although Team Ninja's modern Ninja Gaiden series has become wildly popular in recent years, and along with Devil May Cry set the gold standard for action, it all started with Tecmo's original trilogy on the NES (which would later be immortalized with an SNES collection). Sabotage Studio seems to be tapping into that legacy with The Messenger, a new project that's hitting PC and "consoles" in 2018. 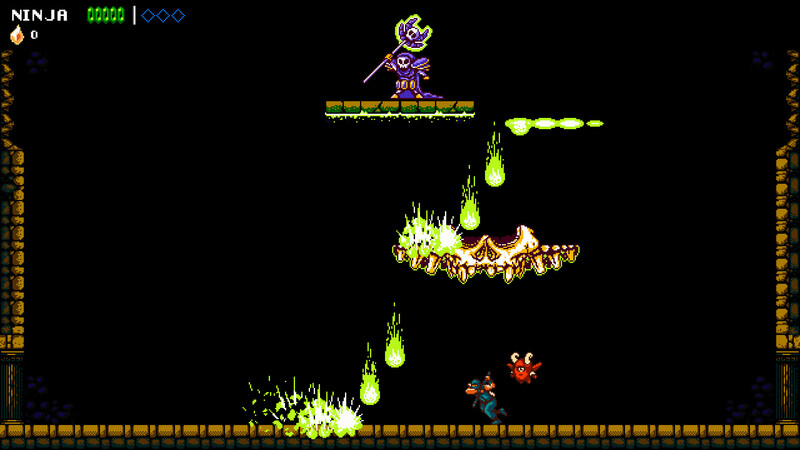 It already has a Steam page and a trailer, and the concept involves a mix of an 8-bit platformer and a 16-bit Metroidvania style of play, with "silly" villains and bosses. Yep, this thing is right up my alley. The whole comedic boss fight thing really reminds me of the unparalleled NES classic Monster Party.